For moving applications on automated machinery. chainflex® continuous flex cables deliver optimal performance in demanding applications involving high speeds and accelerations. They have been tested over millions of cycles in the igus® test laboratories. The less is more approach to cable management is a best practice that robotics engineers and integrators can apply. It centers on designing cable management systems for six-axis robots  including cables, hose, tubing, carrier, and connectors  in three separate sections. 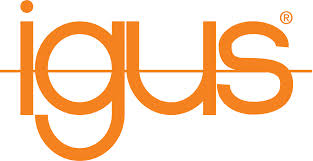 For more information send an inquiry directly to igus® Inc.